Sophie's designs are inspired by her love of nature & the country life. The quintessentially British brand is known for it's fine bone china and fabrics but you will also find a wide range of products from pets, children & accessories to home fragrance. A social enterprise in Scotland which runs cafes around the country. 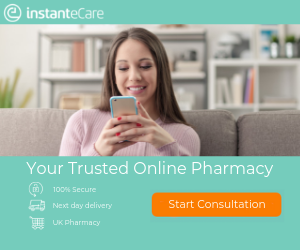 Instant eCare is a leading UK online pharmacy, founded in 2014. We make it easy for patients to get the medication they need, quickly and discreetly. 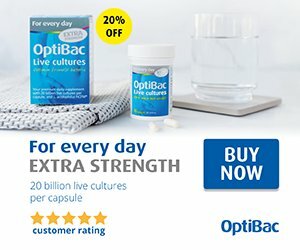 33% Extra Free on Opti Bac Probiotics for Every Day Max! Free Worldwide Delivery Over £100! Terms and Conditions: on Orders Valued Over £100. Valid until Thursday, 13 Mar 2025. We’re excited to be able to offer affordable all-inclusive Real Family Holidays to enable families to get active in nature together, with a mixture of organised activities and free time. Our Centres are all housed in beautiful buildings, from Georgian mansions to stunning country houses in sprawling estates, which boast spectacular views and offer comfortable accommodation with a mix of your own twin and family rooms. Most bedrooms have wash hand basins, with toilet and shower facilities close by. All meals, afternoon cake and hot/cold drinks are included, as well as one free activity per family per night stayed, making Real Family Holidays excellent value for money. You’ll also find indoor facilities including games and TV rooms, although with the exciting activities and our friendly staff on hand to help you make the most of the free time during your stay, you may spend most of your time outdoors. With a strong British heritage dating back to the 1920s, Swan understands that the kitchen is the hub of activity and an integral part of home life. It’s where delicious meals are made and memories are created over a cup of tea and slice of cake. Terms and Conditions: 20% off when discount code used at checkout. Mattress Time is a family orientated and run business. We care about giving customers the best possible products for the lowest prices. All of our products are manufactured within the UK. We opened our own manufacturing facility producing a range of our own branded mattresses. Choose from our amazing Memory Foam, back pain reducing Orthopaedic or Super Luxury Pocket Sprung Mattresses and you will sleep sound every night. Each of these mattresses can give you the full support that we all need. In addition to our own manufactured products, we offer well-known brands like Restus Beds, Highgate Beds, Kozee Sleep, Joseph and Deluxe Beds. We guarantee that we will have the mattress you require whether it is Memory Foam, Latex, Pocket Sprung, Open Spring, Orthopaedic or a Mattress Topper. Valid until Thursday, 11 Jun 2020. More than 10,000 quality rugs and carpets to buy online, from modern to classic! Rugsman is a family business with 5 generations' experience. Visit the Beko online shop and browse their range of small appliances and accessories, offering helpful & easy-to-use solutions for your daily needs. 20% off all orders on site.